16 Things to Consider When Purchasing a Gulf Coast Condo. Some people think that the difference between a condo and single family home is that one has a yard to mow and the other doesn’t. Well, there is much more to it than just that (all be it a nice perk for some). A condominium or “condo” is a form of ownership where the purchaser owns a smaller section of a much larger piece of property. Typically, the owner owns from paint to paint or the air space inside the individual unit and the common areas have shared ownership with the owners of the building. There are pros and cons to owning a condo, depending on the needs of the individual person, but I’m going to save that for a different post. Today, I’m going to discuss 13 different things that you must consider when purchasing a condo, whether it’s you’re first or you’re tenth. As a Realtor in Gulf Shores and Orange Beach, selling condos on the beach is my “wheelhouse”. Working with clients, as well as being in 100’s or even 1,000’s of these units has given me a great deal of education that I can pass along to you. Please understand though that some of the information that I provide may be sensitive to our locality so if you’re looking at other areas of the country, be sure to check with a Realtor there as well. 1. Location. Of course, this is important for no matter what you’re purchasing but in the case of the Alabama Gulf Coast, it can be especially important. For instance, we are in a very strong second home and resort market where that are many investors who purchase condos simply to only get a return on their investment and nothing else. Investors should seek properties that are on the Gulf directly or very close to it. People who live here full time (like me) or want a second home to come to during the winter months, may want a place that is further away from the beach. 2. Financing. Because we are in a resort market which attracts investors, there are a good percentage of buyers who pay all cash so this of course doesn’t apply to you. If you are financing, you should figure on paying at least 10%-25% as a down payment. This depends on if the building is on the Fannie Mae approved list as well as if you can consider the purchased property a second home or total investment. Even if you live out of town but can prove that you have stayed in your condo for at least 2 weeks of the year, you may be able to pay a smaller percentage of a down payment (10%) versus the minimum down payment (25%) if the property is a total investment. Check with a local lender for details. 3. Amenities. After you have spoken with your lender and/or determined what price range you’re in, you should consider which amenities are important to you or what you think would be important to your future vacationers. Most of the condo buildings here have pools but you might also want a lazy river or you may want 4 pools like they have at Seachase Condos in Orange Beach. I had a client once tell me that she only wanted to look at condos that had a pool with a slide. That was important to her so I made it happen. Other amenities to think about are beach access, fitness rooms, meeting rooms, saunas, whirlpools, and 24 hour security. Make a list of the amenities that are a “must have” then check with your Realtor to see if they fall within your budget. 4. View. This could fall under the location category but it’s so important in our area that I thought I would separate it. 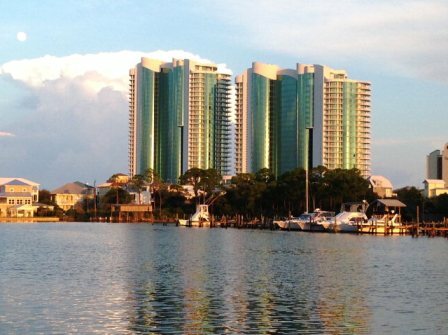 While most our condos are on or near the beach, we also have many other water views like lagoon, canal, lake, or bay. We have many golf course condos as well. The view is also very crucial when it comes to an investment. The typical tenant goes online from anywhere in the country and will look at pictures of various different units. Oftentimes, the closer to the beach will win out but if the unit has a full-on Gulf view, even better. 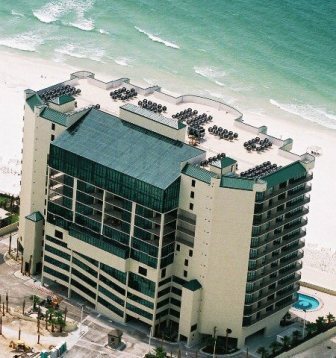 You may also have a building that is on the beach but has an indirect view of the Gulf. Usually everything will have to do with the view and the price for the typical vacationer. For my family, we wanted a water view but didn’t want to deal with the “hustle and bustle” of the beach road during the summer. So, we chose a condo in Sailboat Bay that gave us a great marina view and a partial view of the Intracoastal Waterway and the Bon Secour Bay. The view from your condo is taste-sensitive so definitely put some thought into that one. 5. Association Fees. This is always a consideration with all of my clients and it should be. Typical fees usually range between $500-$700 per month. This can greatly be affected by the size of the unit, how many units are in the building, and which floor it is located. Fees will go up and down depending how much square footage you are wanting to purchase. I once looked at a condo that was in a fairly small building but the condo fees were $2,000/mo., largely due to the fact that the unit was nearly 3,000 square feet. There is a very important point to mention here that most people do not realize. In “most” cases, the condo association for each complex includes the insurance needed to cover wind, hail, and flood for your unit in your condo fees. This will make up a large portion of those fees. You will often find that those fees also include things like water, sewer, maintenance of the common areas, and even basic cable. In my case, after analyzing the costs of what we would normally pay out if owning a single family home versus a condo, we only pay $115 more owning a condo. That extra cost wasn’t that big of a negative to us due to the fact of the 2 pools, hot tub, tennis courts, and gated community that came with the package. So, yes, you may have some sticker shock while looking at those fees but after digging into a little more, it may not be as bad as you think. 6. Poured-In-Place Concrete (PIP). This is not thought of a lot without having a seasoned Realtor who knows and works in condos every day. The main benefit to purchasing a condo with PIP concrete is solidity of structure (of course) and sound (or the lack there of). With PIP, any noise coming from other units beside you, above or below you will virtually be eliminated. This is a major plus! With wood framed structures, you can definitely hear your neighbors so that will just have to be something that you’re okay with or get used to, whichever comes first. 7. Rental History. If you are an investor or your purchase is going to be a second-home and you wouldn’t mind making a little money on the side, a rental history could be of great use. Most of the condo units, especially on the beach, will have some sort of rental history that can be obtained for an interested party. Properties are usually rented through a property management company or through www.vrbo.com and rental histories are usually easy to get my hands on for you. Our rental market is strong and drives the economy down here in lower Alabama. Investors have always been attracted to our area due to the fact that our beaches are great and it naturally attracts hundreds of thousands of tourists every year. I won’t get into numbers here but contact me privately for additional information. 8. Who pays for what in a condo? We discussed earlier about association fees but sometimes there may be some question into what “exactly” is the owner responsible for. For instance, I mentioned that the owner usually owns from paint to paint, however, I was in a building one time that required the owner to maintain the painting of the outside of their front door. Sliding glass doors, windows, and balconies should always be addressed before you make your purchase. 9. Which floor? Which floor to purchase your condo may be one of the most overlooked things to consider that is extremely taste sensitive. Do you get vertigo on the 20th floor? Can you see the beach as well as the Gulf from the 8th? Would you rather be on the first floor to be closer to the pool and not have to wrestle with the elevators? I personally think that the middle floors offer the most benefits for view but you should take note of what is important to you. 10. Condo Documents. Never buy a condo without getting a copy of the docs. Ask your Realtor to always include this as a contingency in your contract. You should have a number of days listed to receive the docs as well as a number of days for you to approve or reject them. These documents will spell out the rules and regulations of your particular association. You’re buying real property here so you should know what is expected of you or what you can/can’t do with the property. 11. Talk to a current owner. Sometimes this is a little difficult to do in a resort market due to the fact that most of the units are not owner-occupied. However, if you are able to locate a current owner of the building or even a tenant, ask them what they think of the building or the management. No one knows best other the folks already living it. 12. Owner vs. Renter ratio. If paying cash, this isn’t that big of a factor for you until you are ready to sell. If you are financing your purchase, many lenders will not fund the loan if the building has more than 50% renters there. We see this more with the smaller buildings containing 20 or less individual units. Make sure to talk with a local lender for their guidelines. 13. Management. Most of our condo buildings here at the beach are professionally managed which will give you more assurance concerning financial stability, maintenance, and quick turnaround on concerns or questions. Some of the smaller buildings are self-managed which are made up of volunteers. You may be able to see the obvious potential problems with that one. Check with your Realtor. 14. Lease Agreement? Is the unit that you want to purchase under a current lease agreement with a property management company? Or, is the unit already obligated to be rented in the future? You may not want your brand new condo rented at all. You may not like the fee structure of the current property management company. Most of our real estate agreements say that the new owner must honor any current lease agreements after closing until that lease has expired. This is a big consideration depending on your situation. Have your Realtor include the right verb-age in your contract so that you at least know exactly what’s going on. Items to include are: Is the property under a lease agreement? How much is it renting for? What fee is the company taking? How long is the agreement for? 15. Legal health. Any past, current, or legal litigation is always good to know about the property that you’re getting ready to purchase. Have this demand written into your contract. 16. Special Assessments. You have your monthly condo fees and then you have special assessments. These assessments may include extra costs like replacing the windows, adding a Splash Pad to the pool area, or repaving the parking lot. These are voted on and divided among the owners. If the insurance needed for a building is not included among the condo fees there will be an annual special assessment for insurance. You should know upfront what past, present, and future special assessments are on the table for your building. 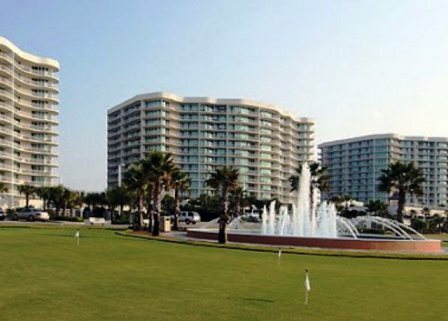 Owning a condo in Gulf Shores or Orange Beach, AL. can and should be rewarding. It can bring you much relaxation and joy. It also can bring you a return on your investment. We live in a fantastic part of the world that is continuing to grow and prosper. Before you make your next condo purchase, consider these items and enjoy…. For the last 12 years, I've been a Realtor first in Virginia and North Carolina and, through a career move with my wife, we have settled in lower Alabama on the Gulf Coast. I can truly say that we feel more at home in Gulf Shores than any other place that we have lived. Most of my business here is working with clients who are wanting to purchase condos for sale in Gulf Shores and Orange Beach. We are a resort and second home market, which means that there are plenty of things to do, places to eat, or chances to just relax on the beach. I have dedicated myself to not only provide clients with top-notch service but also work to be a local expert in our area. One of the ways I'm doing this is to provide a great website with tons of local information. This entry was posted in Uncategorized and tagged Buying a Condo, Condos, Gulf Shores, Orange Beach. Bookmark the permalink. 2 Responses to 16 Things to Consider When Purchasing a Gulf Coast Condo. You have really opened my eyes to moving to Gulf Shores from Minnesota. Lots to think about.